Although I work for Microsoft I am not on the HoloLens engineering team and as a result try not to speculate about engineering topics. 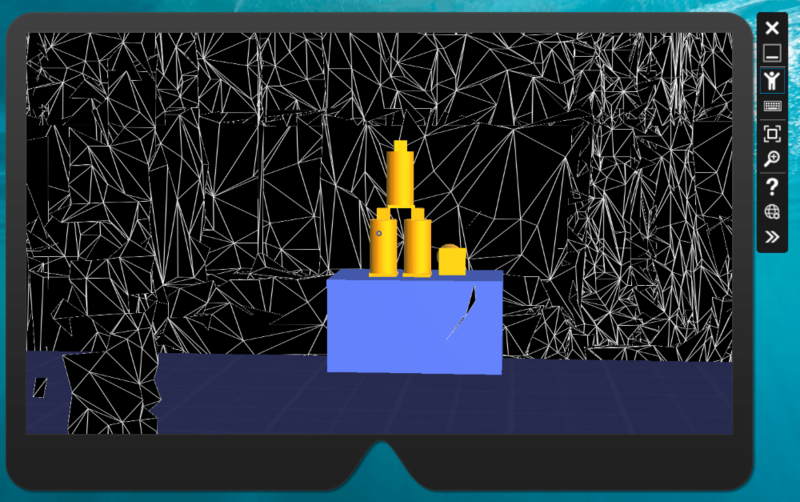 I have a deep interest in virtual, mixed and augmented reality and by extension the HoloLens. Any opinions expressed in this article are mine. The whole design of the Microsoft HoloLens is centred around it being a fully mobile device with no need to be tethered to another computer; it is a full Windows 10 PC which has an extremely deep understanding of its environment. It is worn on the head and the optics allow viewing holograms mixed with the real world as if they were actually there which it achieves very effectively with detailed, crisp and bright holograms. It knows where the surfaces that make up your environment are and can remember that information enabling the interaction of digital holograms with the real world. If I ‘throw’ a digital ball it can bounce along my real coffee table, fall off and bounce or roll along the floor. 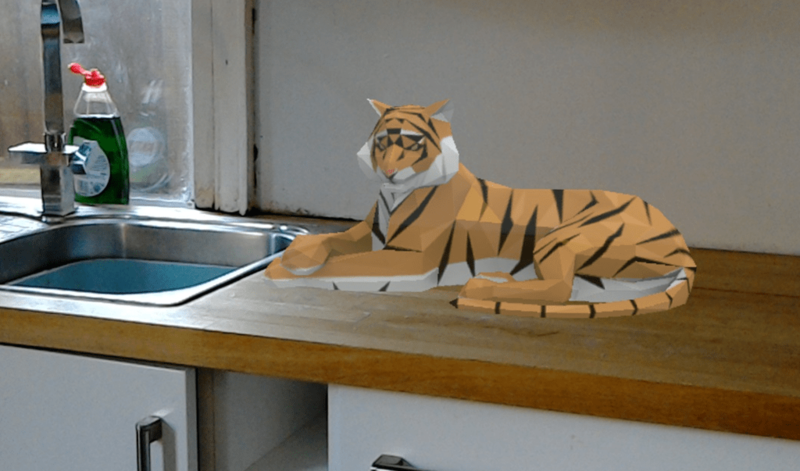 In addition, if I leave holograms in a particular location, say I leave a tiger on the worktop in my kitchen, when I return to my house sometime later the tiger will still be there. The HoloLens is a truly unique device which solves a host of traditionally ‘hard’ problems, i.e. inside-out tracking which enables the device to know it’s position and rotation in 3D space (a.k.a six degrees of freedom tracking). This enables the device to have a full understanding of where it is in the world – so holograms stay exactly where you left them and you can view them from any angle or position. 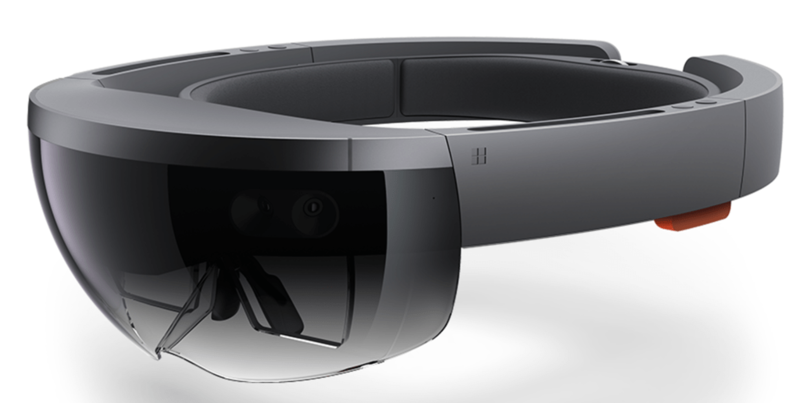 The main user experience paradigms used in the HoloLens are Gaze, Gesture and Voice. Gaze is very intuitive in that the ‘cursor’ position is defined by where the user is looking or more accurately, which way their head is facing. Then to ‘action’ an item being gazed at a gesture or voice command may be used, for example to select the item I might carry out an air tap or simply say ‘select’. Both the gestures and the voice recognition work impressively well. Since the HoloLens runs Windows 10 it follows that apps built with the Universal Windows Platform will also be supported. They are and are experienced as 2D surfaces projected into the 3D environment. They can be resized, pinned to surfaces in your room and they can even follow in your line of sight as you walk around. 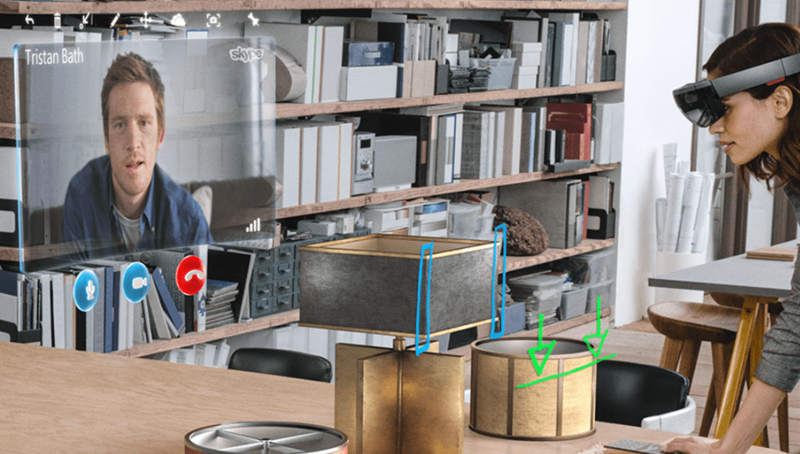 You can call up your Skype contacts from the HoloLens and their Skype video feed will appear as a holographic screen in your view. If your contact is using Skype for Windows they will be able to see what you are seeing and draw holograms into your world. 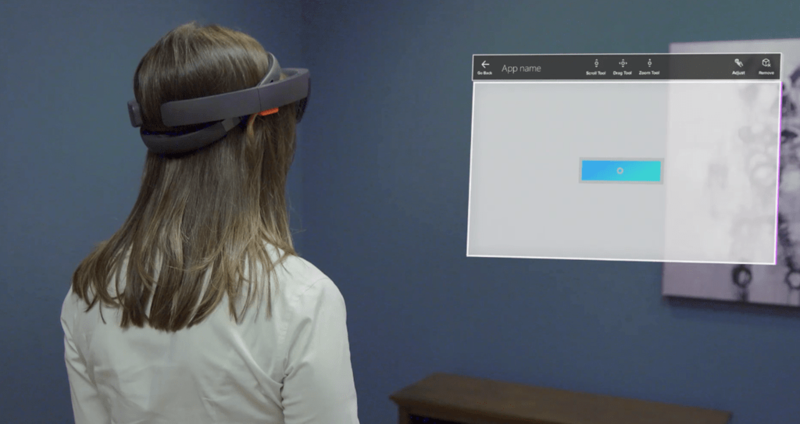 See https://www.microsoft.com/microsoft-hololens/en-us/apps/skype for further details on usage and scenarios. The HoloLens forums can be found here https://forums.hololens.com/ if you want to ask questions and find other developers and here are some other fantastic resources which will help with HoloLens development. The Official HoloLens website https://www.hololens.com which has lots more information including ordering a HoloLens device.